We are the top local SEO service company in Jalandhar Punjab (India). We guarantee the search engines perceive your business and target. 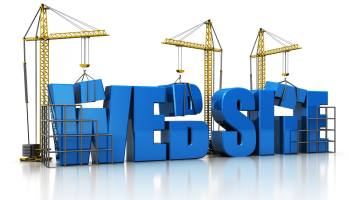 We attain this by optimizing your web site according to local keywords. Local SEO allows to a searcher to get results based on their current location through relevant keywords in that location. For example, if a searcher browse for something on his mobile phone or computer, search engine provide best organic results which are nearest to searcher. This one is foremost thing we organize in local SEO for our customers. Now additional than ever it's imperative your business is found on Google Maps. Our local SEO Service emphasize in up your maps listing by finishing your profiles, claiming missing listings, encouraging reviews, and standardizing NAP data. We optimise local pages of your website through putting the information including the address (in a consistent format) and your business location within the page content as well as the title tag on the page. We organize title tag of the page, brand name and the keyword according to the targeted location so that local customer can reach to you easily. You should also think about this with the proper description of the page. While you only have the address, we make it so easy to get to your customer, with multiple kind of additional references. However, embedding a map on your 'contact us' page and local place pages helps to improve local SEO rankings, we determine and apply the best possible way according to your business location. Schema markup is special code that we place on your web site to assist the search engines come back additional informative results for users. Adding Schema markup to your HTML improves the manner your page displays in SERPs. Local SEO is significantly going up from the last few years as the technology is growing with the rapid improvement of smart devices. In general terms local SEO is like organic SEO but ultimately very different.